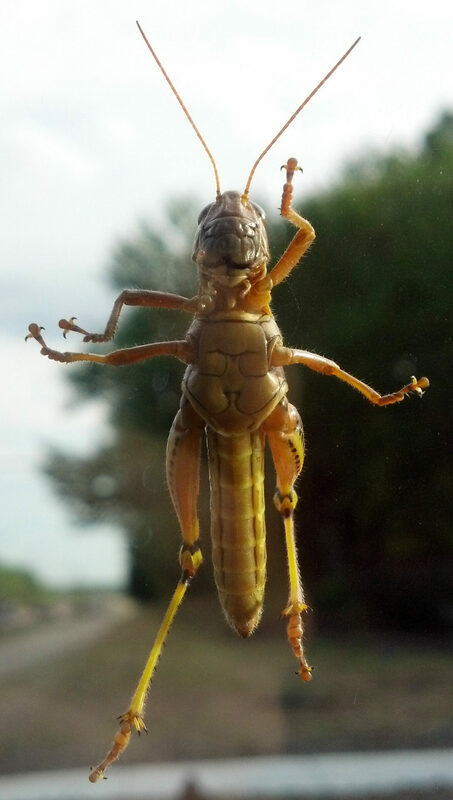 Caught this shot with my Droid phone while the grasshopper was crawling on a car window. I’m sure many of your naturalist biology folks out there can quickly identify this critter. I grabbed this picture on the way to dinner a couple days ago, and I think it does a pretty good job of showing the kinds of cool pictures that camera phones can take these days.